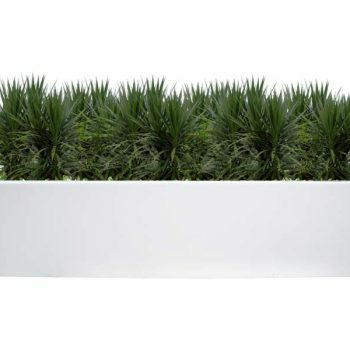 Measuring in at 42” long and 8” tall, the Salon Planter is the supreme choice if you are looking for a planter box that can be used in spaces both big and small. Tuck it away in the corner of your balcony, use it as a window planter box or use it as a divider to add privacy. 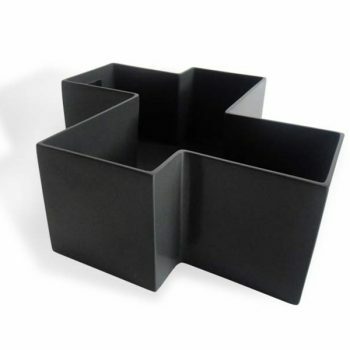 Unlike cheap plastic pots or metal planters, these fiberglass planter boxes are resistant to rust, fading and cracking. 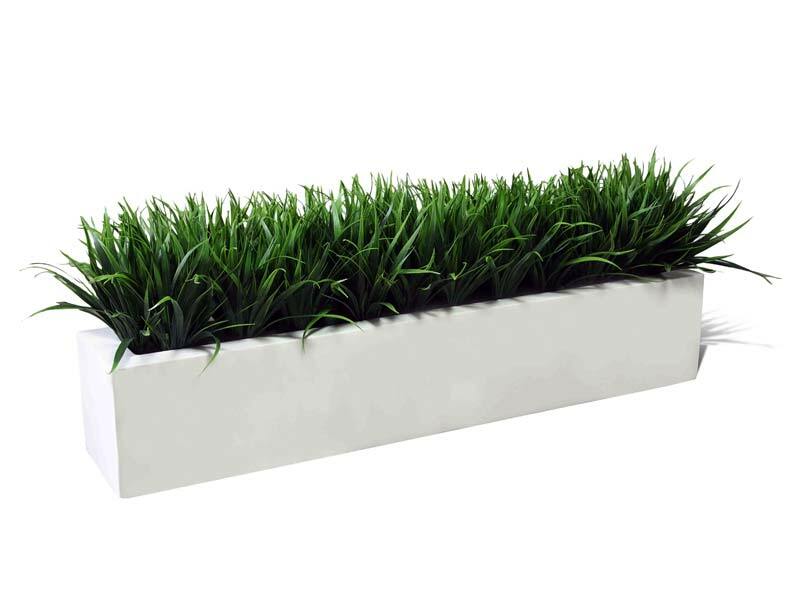 The fiberglass is also lightweight, allowing you to relocate your long planter box when needed or desired. 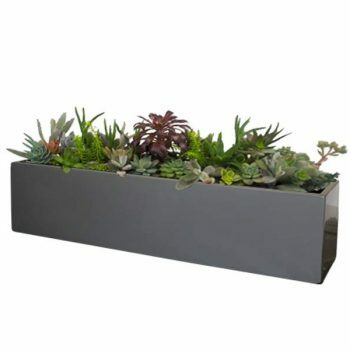 Use the Salon rectangular planter as a window box planter, an herb garden planter, a flower pot planter or as a patio planter. 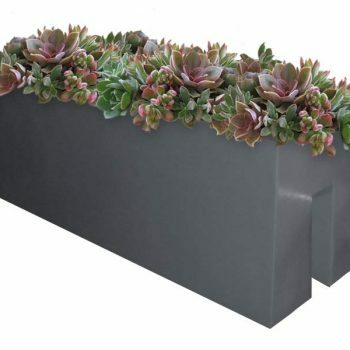 Since they are made out of a resilient fiberglass, our small trough planters make fine commercial planters, outdoor vase planters and outside garden planters. In order to allow you to create your own custom planters, these wholesale pots and planters are available in a medley of our signature color finishes. The black planters are sleek and elegant, the white planters are synonymous with modernist layouts, red planters bring a bold flair to any landscape and the silver garden pots and planters are luxuriously fancy.